Unless your head’s in the sand, you know where portable video games are headed: Cheaper to develop, less expensive to sell, easier to pick up and less time consuming to play. 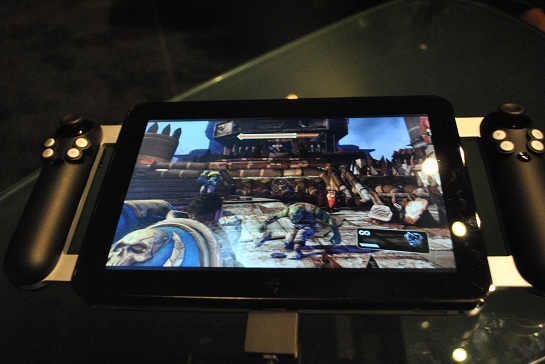 Smartphones and tablets are slowly pushing the established games industry in that direction. Razer is proudly not participating in that version of the future with Project Fiona, a concept Windows-based tablet that plays high-end PC games. The tablet has controller handles on either side of the 10.1-inch display, each with their own thumbsticks, buttons and triggers. Inside, there’s enough processing power to run games like Warhammer 40000: Space Marine and The Elder Scrolls V: Skyrim on high settings. When Razer CEO Min-Liang Tan was telling me all this a couple weeks before the 2012 Consumer Electronics Show, I didn’t entirely believe the company could pull it off. But then I played with Project Fiona myself at Razer’s booth. I don’t know how the company did it–and I dare not fathom at what cost–but the concept actually works. Well, here are a couple guesses: The tablet is roughly an inch thick, so there’s plenty of room to pack meaty specs inside, along with a fan to keep the system cool. Also, whenever I asked about battery life, I couldn’t get a straight answer. Razer is targeting a not-unreasonable sub-$1,000 price for the final product, so somewhere, there’s got to be a compromise to make this kind of tablet happen. In fact, that’s what Razer will be figuring out before it brings an actual product to market toward the end of the year. 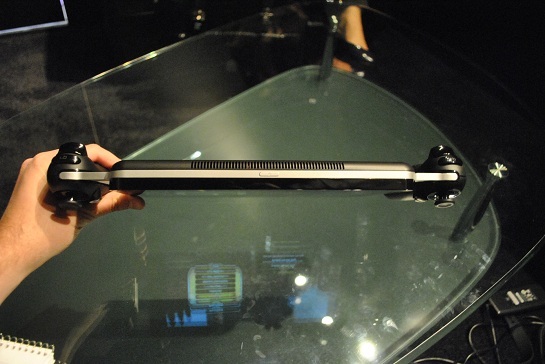 As Razer’s Alex Shows told me at CES, there’s a balance to be struck between thinness and performance, and it’s also not clear yet whether Fiona’s winged controllers will be detachable. 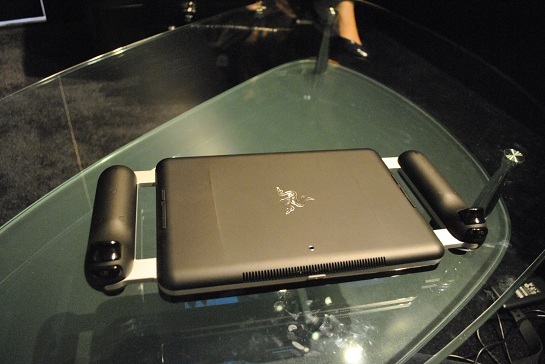 Razer plans to give concept tablets to developers and other partners to figure out what works best. For now, though, I like the concept. Developers will be able to add touch screen enhancements for their games, but they won’t be required, and most games should work out of the box. Razer is also working on a partnership with the streaming game service OnLive, which raises the very cool possibility of starting to play a game on a home PC or TV, then resuming progress immediately on the tablet. The finished product will ship with Windows 8, so the touch screen will have a proper tablet operating system to run with. The other thing to consider is that Razer primarily is in the PC gaming peripheral business, so I’m sure it’s dawned on the company to sell tablet controller attachments in addition to full-fledged gaming devices. 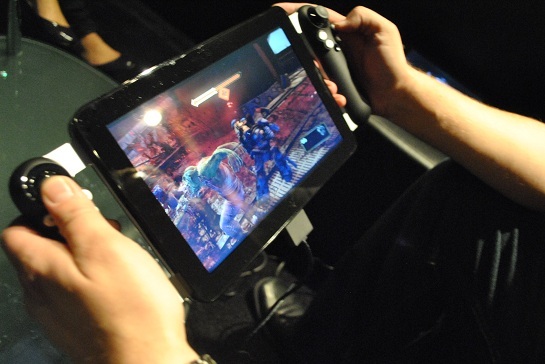 For that to make sense, however, tablets need to be powerful enough to run high-end PC games in the first place. I’m glad someone is trying to make it happen.